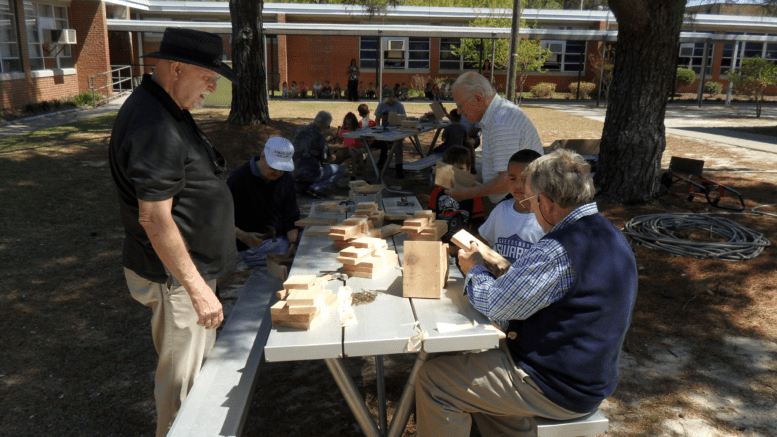 The Kiwanis Club of Seven Lakes annual Woodworking Project, this year building “bird houses” for the West End Elementary School’s Kindergarten class on April 11th, 2017, was led by the Project’s Chairman, Bill Price. 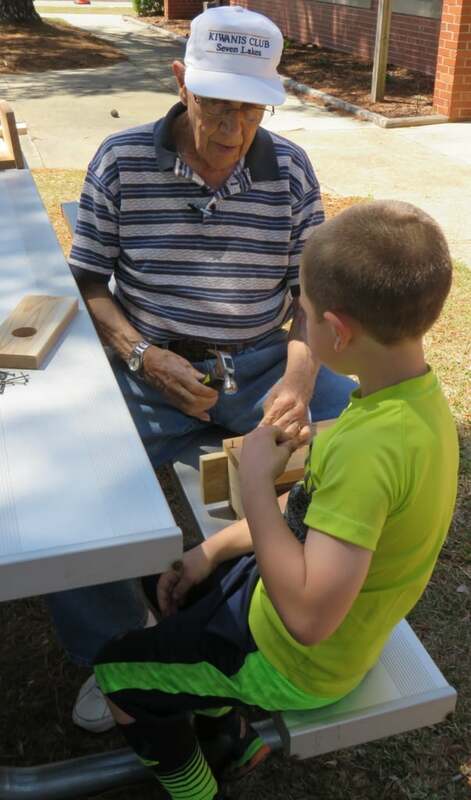 The Project involved the initial “cutting out” of the bird house components, “bundling” the numerous pieces together (assisted by the ARC of Moore County’s Aktion Club members), to the Kiwanis Club of Seven Lakes members “working” with each individual child in order for the children to “build” their very own “bird house”. 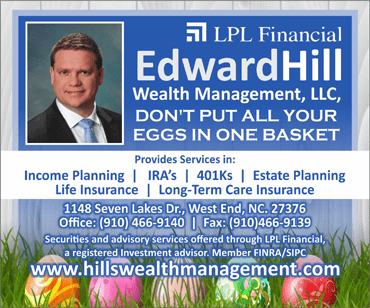 This year, the Project produced nearly 100 “bird houses” for the West End Elementary School Kindergarten Class.